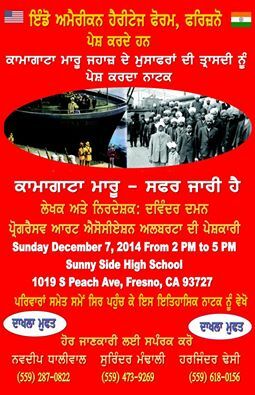 Last Sunday, I watched the Punjabi stage drama,“ Komagata Maru Safar Jari Hai” at Sunnyside High School auditorium in Fresno. The Indo American Heritage Forum, one of the two similarly sounding organizations commemorating Ghadrites in Fresno had also invited the Progressive Art Association of Alberta, Canada. The auditorium designed to accommodate 500+ people was fully packed and in spite of the initial hick-ups, the play written and directed by Davinder Daman was received very well, where the audience fell silent at the appropriate moments, and all eyes were intently on the scenes unfolding on the stage. 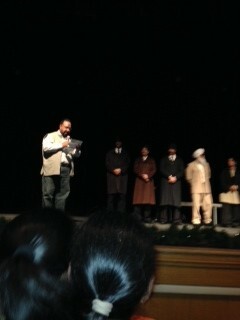 The Punjabi Art Association in Edmonton also performed a play using the Komagata as its main inspiration, written by Ajmer Rode and equally artfully directed by Jaspal Dhillon. The difficulty in creating novels or stage plays that are rooted in historical facts, is the delicate nature of balancing fact with art. The facts cannot be altered, and the sequence of events remains the same in both plays, and the dramatization in Davinder Daman’s play is rendered very interestingly. Daman’s use of powerful dialogues and the way he took the emotional intensity of a scene that may or may not have happened in quite the way it is depicted is truly remarkable. He created new scenes which skillfully strip bare the underlying conspiracy of powers to be as well as the human struggle of trying to overcome the high handedness of the authorities. It has all the characteristics of a tragedy that makes this not just a good piece of history, but also a good play. Theatre has indeed added a new dimension thanks to some of these innovative Punjabi writers who have successfully revived this age old technique. Judging by the number of people who attended, the well written, directed and superbly played by wonderful actors had educated larger crowd than the number of people who would ever have read it in print. Understanding ourselves and for our younger generation what really went on these American shores with our pioneer immigrants from the Indian sub-continent 100 years ago, is very important. Important still is to remember that although this difficult voyage or safar has come a long way, it still continues. 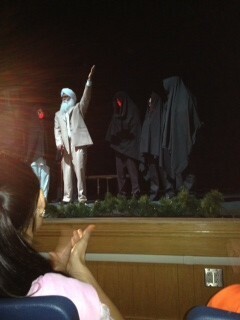 It continues not only in India as the play appears to conclude but also here in North America our adopted country. Being far from fully accomplished, it would require input from us all. Are we making a positive contribution to make it happen? That is the question we need to be asking ourselves! As the history of Komagata Maru and the Ghadar Party is evidenced as inseparable in this play, likewise the freedom movement of India and history of North America especially of the West Coast are kind of intertwined. Organizations, activists, historians and supporters such as Dr. Bruce La Brack, Dr. Mark Juergens Meyer, Dr. Harold Gold and Johanna Ogden to name a few, have attempted to keep these stories alive but the overall political achievements and link to Indian independence is largely marginalized in India and their contribution to human rights and immigration reforms is almost forgotten here in America until now. In the recent years especially in the aftermath of 9/11 terrorist attacks, significant legislation has been passed by the California legislature when Sikhs were being targeted as terrorists by some misguided patriots due to their outward appearance being confused with the Taliban. 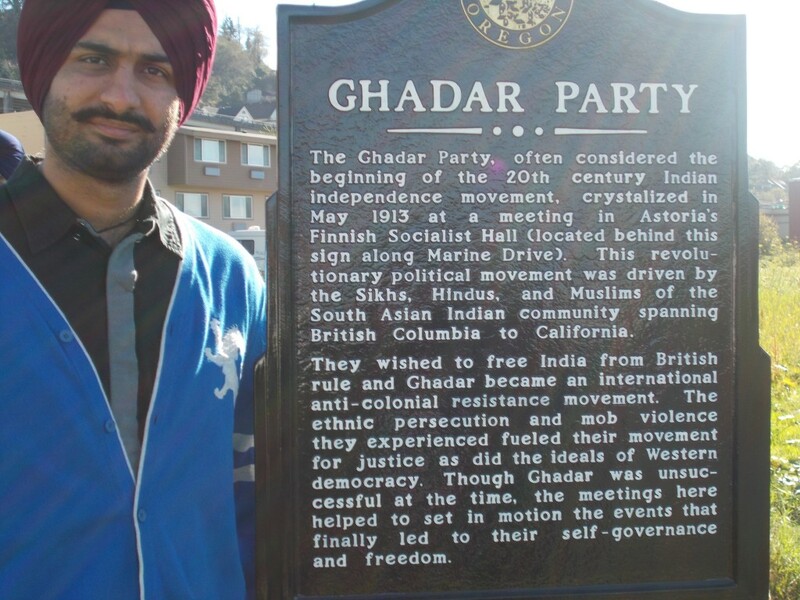 In the same vein, I had attended the “Ghadar Day 2014”in Berkeley last month. Commemorating the 100th Birth Anniversary of the Founding of the Ghadar Party, the Berkeley City Council became the 8th city in North America after Astoria. Initiated by Johanna Ogden’s research work, the City Council and the Mayor of Astoria-Oregon, Willis Van Dusen had first designated November as the Ghadar Day last year. The City Council had also organized and paid for a 2 day International Conversational Seminar on 4-5 October 2013. and installed a plaque dedicated to the Ghadrites at the Columbia River Front next to the Finnish Hall site, where the very first meeting took place in 1913. A number of proclamations followed in California including one in Canada, which are covered in more detail elsewhere.